A fireclay with a PCE of 30 is said to be a super duty. 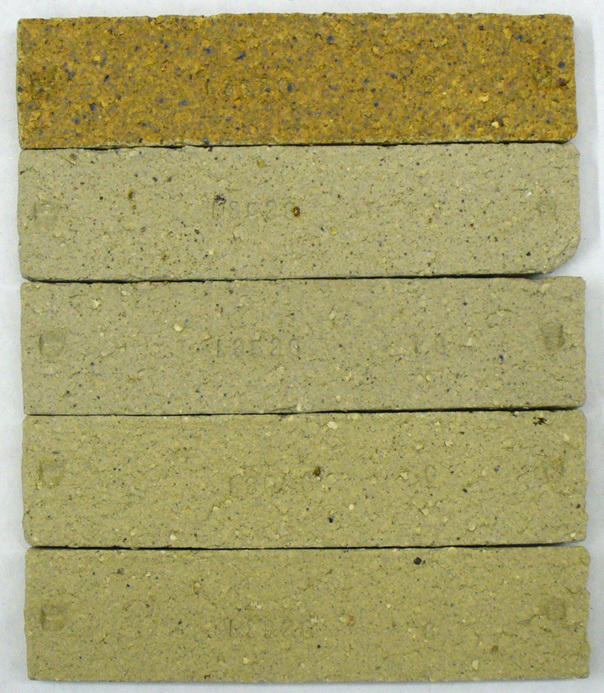 Fireclays have high porosities when fired to cone 10 and commonly contain 35% or more Al2O3. 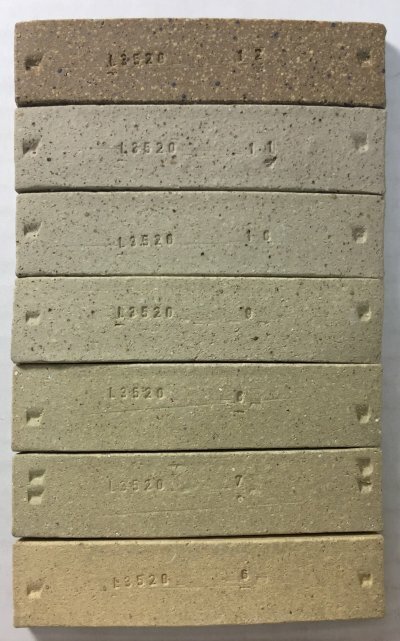 Siliceous fireclays have the lowest Al2O3 content, less than about 30%. 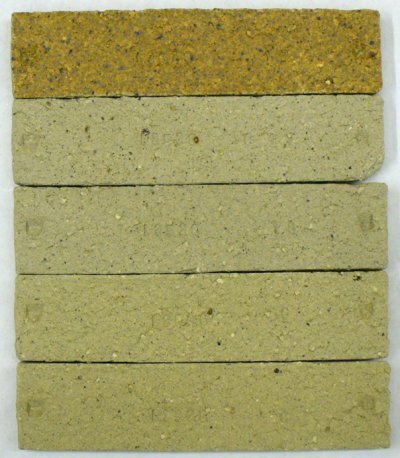 Aluminous fireclays can have very high alumina, even 60%. 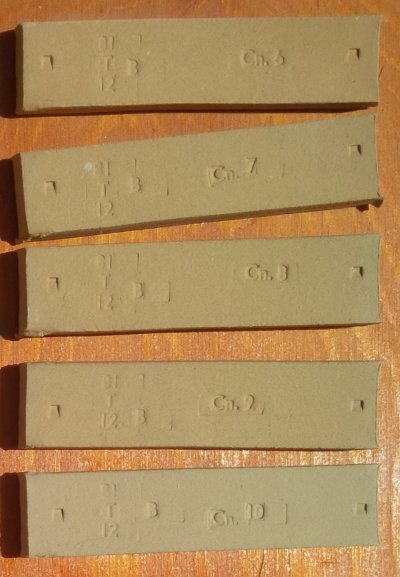 It is not unusual for clays to be labeled as fireclays when they actually are not, the term can be relative within the scope they are used. Fired from cone 8-11 and 10 reduction (bottom to top). 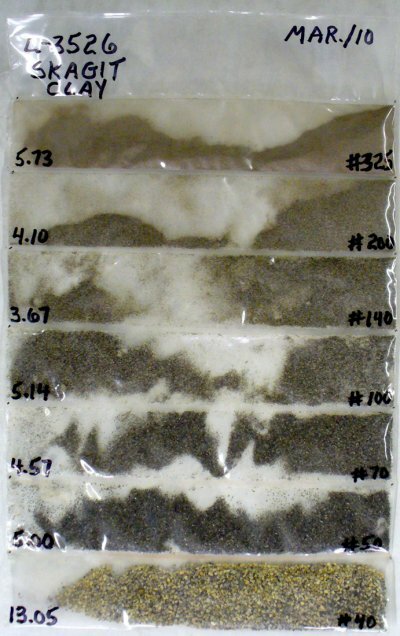 Example of the lignite particles in a fireclay (Pine Lake) that have been exposed on the rim of a vessel after sponging. 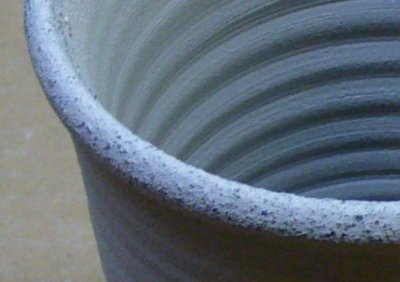 This is a coarse clay, but if it were incorporated into a recipe of a stoneware, glaze pinholing would be likey. Fired to cone 10R (top) and 7,8,9,10 oxidation (from bottom to top). 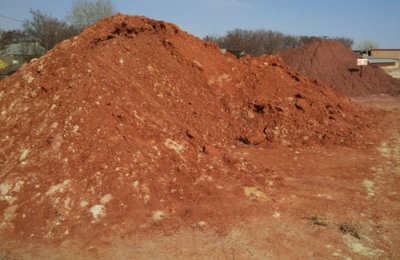 The natural Plainsman St. Rose Red clay before it is ground. 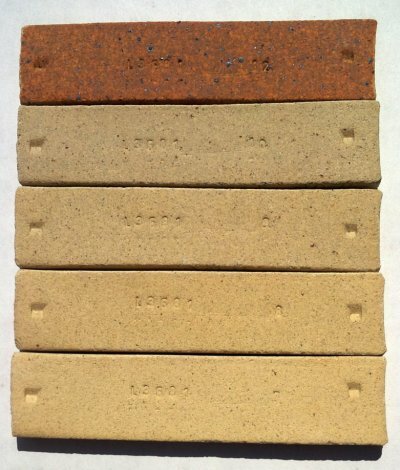 This has about 6% iron oxide and is used to color high temperature throwing and sculpture bodies. It is quite refractory, very unusual for a clay this high in iron. It is from St. Rose, Manitoba. Cone 6 to 10 oxidation (top to bottom) fired shrinkage and porosity testing bars.